"I still ask myself sometimes late at night, about what happened, how it all turned out, about the life I've led, you know. Everything. I ask myself the same questions they ask me, these people who've only heard about it, who weren't even around when it all took place. What happened and why did it have to happen in the way it did?" Long before we identify the narrator, as readers we find ourselves asking those same questions, even though we know it is 'just' a story, set in Brownsburg, Virginia in 1948. This small town feels familiar--you can imagine driving through it and stopping for soda on a long car trip. 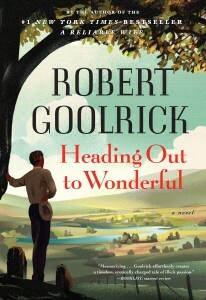 Goolrick describes it precisely, from the simple customs of returning home each day for lunch to the evenings where families sat on porches listening to the single radio station playing. In some places, it felt reminiscent of Scout and Boo's neighborhood in To Kill a Mockingbird, or as a less-jaded version of The Sound and the Fury. The almost numbing perfection of homes and streets creates a sort of unexpected tension...it's not readily apparent where or when the inevitable conflict will appear in the story. In any case, the town setting is almost a game board of potential friction, and when Goolrick adds his complicated characters to the mix, he enriches the story in varying layers. There are seven greatly significant characters (I'm avoiding spoilers here, so I'm going to be as cryptic as possible) that each could carry the novel on their own, as they are so unique and unexpected. Each could be a subject for study in the subtext of the overall story. Charlie Beale is a newcomer to the town, quickly buying up land while working in a butcher shop. He becomes very close to a married couple with a precocious little boy, Sam. Sam finds a nearly mythic figure in Charlie Beale, and idolizes him immediately. Charlie settles into this new town with every advantage and a mysterious box of money. What could go wrong? Things do go wrong, but not in the ways I was predicting. I thought I knew where the story was headed and my assumptions led me astray, but I think Goolrick intended to mess a bit with what we may be expecting in this sort of story. In creating the fictional city, Goolrick worked in all-too-real issues that his characters were facing (the budding resistance to traditional gender roles and race relations) so that each of their stories felt authentic and fully developed. Beyond these issues, the novel itself, a simple story made up of complicated people, pushes us to consider the drama on our own terms. Exactly at what point do you cut off a friendship that appears doomed? If everyone is lying, how do you find the strength to tell the truth? How do you decide when to step away from a problem and turn your back? Are you complicit if you don't? 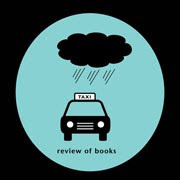 Special thanks to Julia Bowen of Algonquin Books for the Review Copy. Enter to win the hardcover final of the book, just released last week, by leaving a comment below. A winner will be selected randomly on July 14, 2012 to receive the book. Please leave contact info in comment. US only. This book sounds fascinating! I love small town stories, it sounds like the author as created an interesting read. I would love to read it!